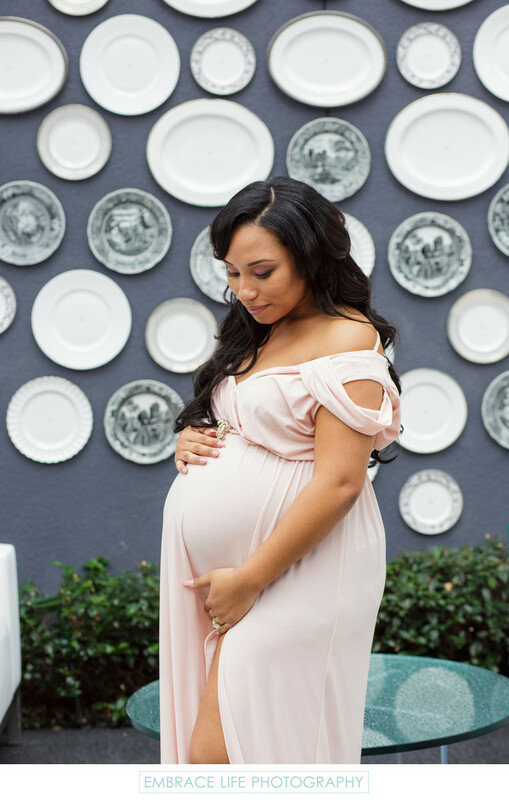 Maternity portrait of the beautiful expecting mother at her baby shower at the Viceroy Santa Monica by Los Angeles event photographer, Embrace Life Photography. The modern hotel's iconic wall of plates served as a perfect location for this pregnancy portrait. Location: 1819 Ocean Ave, Santa Monica, California 90401. Keywords: Maternity (21), Portrait (888).